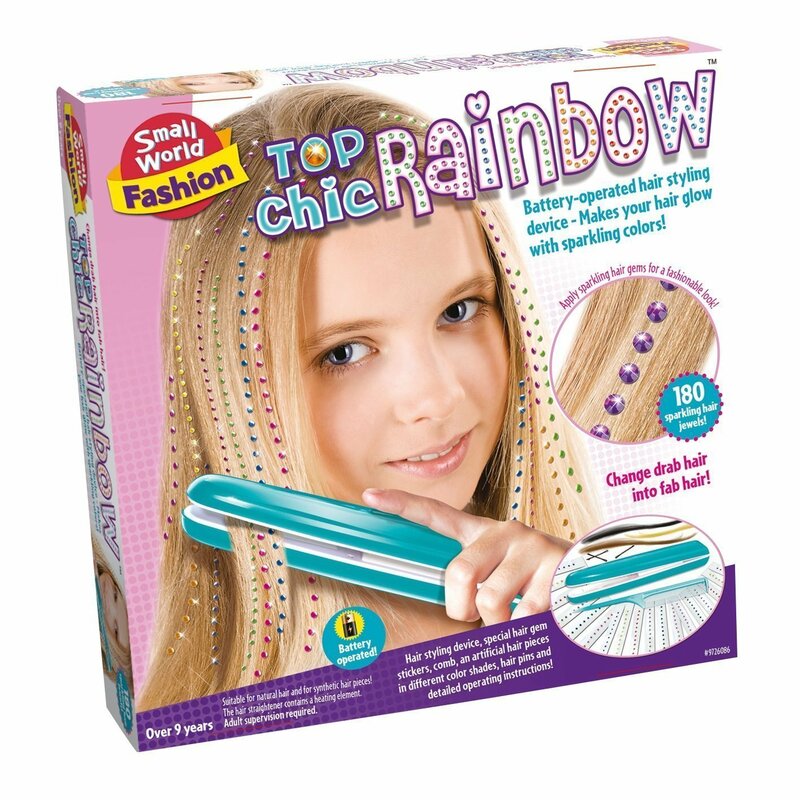 Battery-operated hair styling device - Makes your hair glow with sparkling colors! Change drab hair into fab hair! Multi-colored, dazzling hair jewels! Suitable for natural hair and for synthetic hair pieces! 180 sparkling hair jewels! Hair styling device, special hair gem stickers, comb, and artificial hair pieces in different color shades, hair pins and detailed operating instructions!